Key Features: Stylish new design, Padlock Lockable. Additional Features: Interlocking Foam, Steel Hinge Pins. 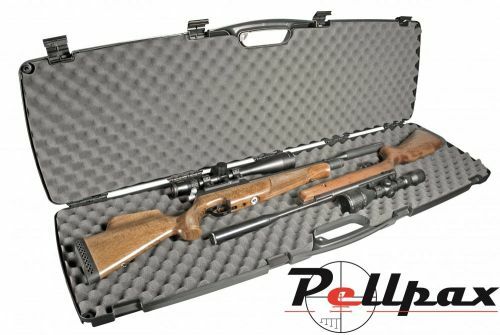 With a rugged look and solid protection, this case holds two rifles with high-mount 50mm scopes or two shotguns with accessories. SE Series cases feature contoured recessed latches, padlock tabs for added security and strong, rigid ribbed construction.